Preheat the oven to 400°. Using poultry shears, cut along each side of the chicken backbone and remove it. Turn the chicken breast side up and press on the breastbone to flatten the chicken. 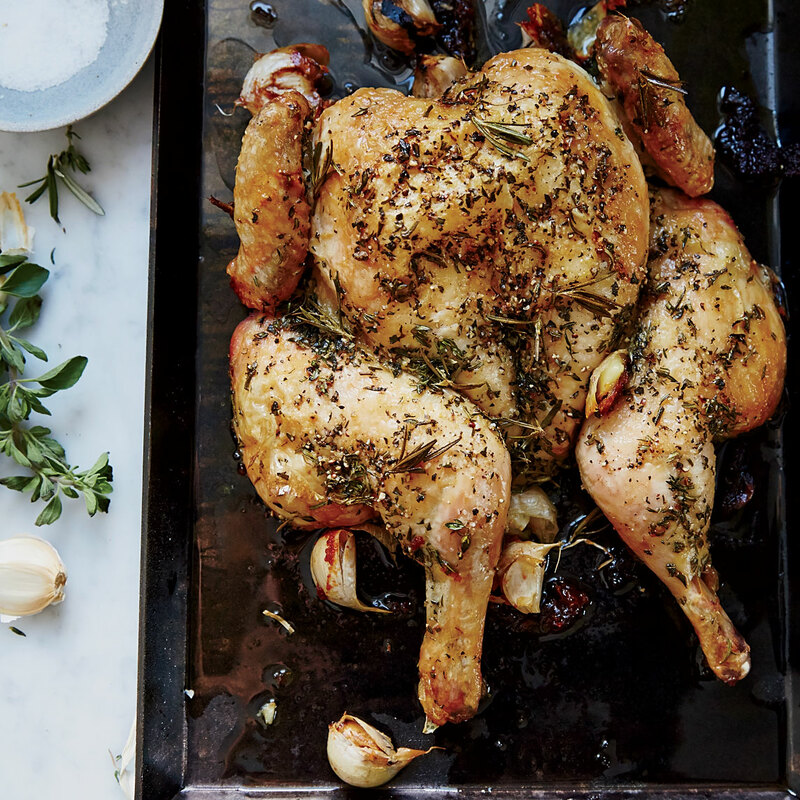 Rub the chicken all over with the olive oil, oregano, thyme and rosemary. Generously season with salt and pepper. Transfer the chicken to a large rimmed baking sheet, skin side up, and tuck the garlic underneath it. Roast for 45 minutes, until the skin is browned and an instant-read thermometer inserted in an inner thigh registers 160°. Transfer the chicken to a cutting board and let rest for 10 minutes before serving.